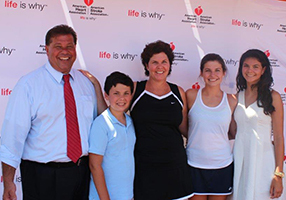 I believe in giving back, and it was once again a thrill to sponsor the American Heart Association's Golf and Tennis Event today at the Piping Rock Country Club in Locust Valley, NY. AHA is responsible for raising funds to provide research in all things related to heart and heart health. Today's event raised over $300,000! It was great fun participating on the benefit committee for Long Island Alzheimer's Cocktails and Casino Fundraiser, held on October 19, 2016. 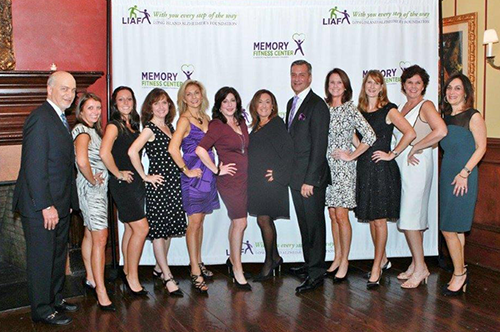 We surpassed our fundraising goal and are pleased to help financially contribute to LIAF's new Memory Fitness Center. 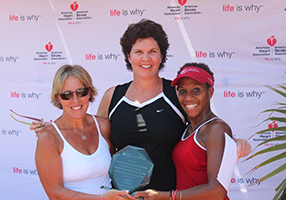 In July of 2015 I spoke as Honoree of the American Heart Association's first tennis tournament. It was a fantastic day as I was supported by many family members and friends. 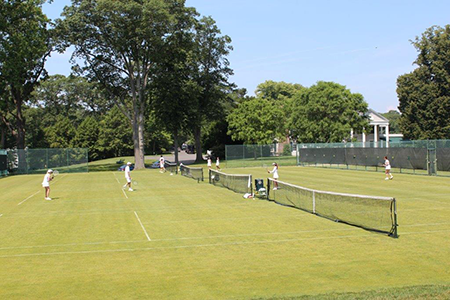 I look forward to serving on the committee for the 2016 Tennis and Golf Tournament, which will be held on June 20, 2016. 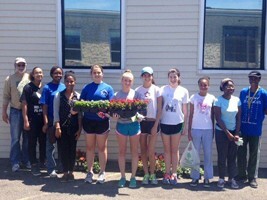 I am also a volunteer at The INN, a soup kitchen located in Hempstead, NY. My family and I volunteer at The INN a few times each year, stocking pantries, and sorting toiletries for guests. 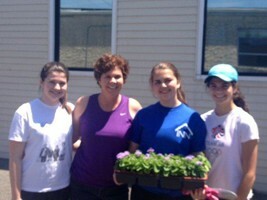 I am proud to have my children with me when volunteering. 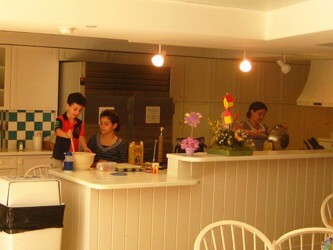 We also bake goods at The Ronald McDonald House twice a year, providing treats and comfort food for the families who reside there. 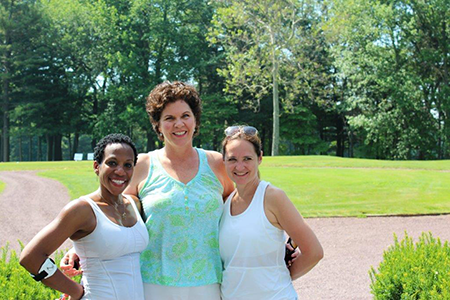 In 2013 I served on the Gala Committee for The Theodore Roosevelt Bird Sanctuary of Oyster Bay. This was a wonderfully successful event, raising over $150,000.00 for the Sanctuary and Audobon Society. 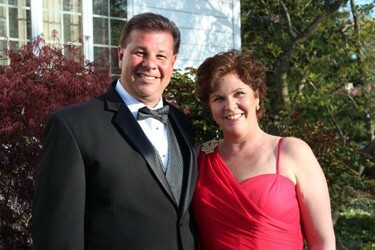 A picture of my husband and me at this event is below.